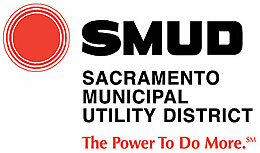 As a homeowner in Sacramento County, I live in an area “served” by the “Sacramento Municipal Utility District” (SMUD). This is our local monopoly providing electricity to well you guessed it, Sacramento and a couple surrounding areas. What we have here is a government created monopoly, if you live in SMUD’s service area you must be hooked up to a SMUD electric meter and receive a bill from them each month. Just to be fair, SMUD does have pretty low rates compared to the other major electric providers here in California, and I’ve never had any service related issues in my three years owning my house. Now to the point of my article, every month in your billing statement you get a couple small fliers (usually 1/3 of a page) stating they are filing for a rate change. This flier is written in such legalese that no common man can reasonably ascertain what is being said, so as a result you wait for a commercial or some sort of article saying what is happening to rates. Newsflash, they never go down. Similar to your credit card company, when they claim the reward benefits are getting better for you, do not buy it. In this case SMUD got very creative, saying peak rates will increase (5-8pm) and all other rates will decrease. What is happening here is rates will go down for the seniors, the stay at home mom’s, and for folks who telecommute or work from home. Every other group gets absolutely soaked under this new plan. Oh, if you didn’t read that little flyer, rest assured, under the new rates, the electric rate you will be charged between 5 to 8 PM triples from what you were paying! Think about it, when do you do your cooking? Dishes? Laundry? Watch the latest series of Survivor…yep all between 5-8 pm. So, your bill is going to go literally up in flames. As far as the discount, well when you are working what electricity is being used while you are away? Your fridge? That’s fair, but your other appliances are either off or EnergyStar ® certified so likely not using much if any power. The bottom line here is this type of government rule (I know utilities aren’t government but are governed by Public Utility Commission) have created a monopoly and really took away choice from the consumer. I am going to use a perfect example of what allowing competition does. I do not watch much television anymore, but when I do, I’m usually inundated with insurance company advertisements. I mean literally you could see 10-15 commercials per hour for these products. I kid you not: the Lizard, the ditsy brunette, the discount double check, the quirky professor, Esurance, the Liberty, Liberty, Liberty company, and Dennis Johnson hawking Allstate. However as much as I loathe the ads, that’s one heck of a lot of consumer choice right there. This way if a company loses its way; price, service or product quality, you are free to go and send them a message via your wallet. This is not true with our government created utilities that eliminate competition. The utilities have full control over you and the rates, case in point? The only way you can refuse service from them is not paying a bill and having power shut off, and to restart service you will be paying a large fee and back penalties with interest.